Before you start posting, one thing you should consider is installing Custom Audience, a remarketing pixel on your website. Installing the pixel is easy to do, especially if you are using WordPress, as it just takes a few simple clicks. The pixel will allow you to target your Facebook ads to audiences of people who have visited your website and remarket to people who have expressed interest in your products. The pixel will also allow you to learn demographic information about the people who are visiting your website, including age, city, income, marital status and more. Simply writing and then sharing blog posts on your Facebook page is not enough, you need to use Facebook to get the attention of your readers and make them want to click through and read your content. Here’s how. One side effect of information being available on demand is that we have become a society filled with people looking for instant gratification. As a result, nobody wants to read more than a couple of sentences to find out what the main point of an article is going to be. Including a photo or graphic clearly representing the subject of your post increases the likelihood that someone will actually click through to the article. Posts without graphics are often overlooked because they aren’t visually attractive and take too much time for the reader to become engaged. You should also have a very short description of no more than one sentence summarizing the content of the article underneath the graphic. Before you hit “post,” we recommend you first use the Facebook URL Linter for Post Plugin to see what your post will look on Facebook, so you can ensure any graphics or descriptions are displaying properly. Sharing one post from your blog is not going to be enough to gain a following. Posting a weekly update is a good way to share some of your best blog posts of the week without cluttering your followers’ news feeds every day with the same kinds of posts. This becomes repetitive and could come across as overly self-promotional and cause people to un-follow your page. Your weekly update should be visual – compile the featured images of top articles from the week and link them back to their corresponding blog post. Keep the introductory text short and sweet, a few sentences summarizing the content will do. Incorporating a weekly update is important because it can greatly improve your site’s click-through rates. People use social media to fill their social needs and your business will be most successful if you first determine what the general interests are of the population your business is targeting. Once you’ve done your homework, start including lifestyle or how-to blog posts related to those interests. People will be drawn to these types of posts because it relates to their life. Get your readers engaged with your website. 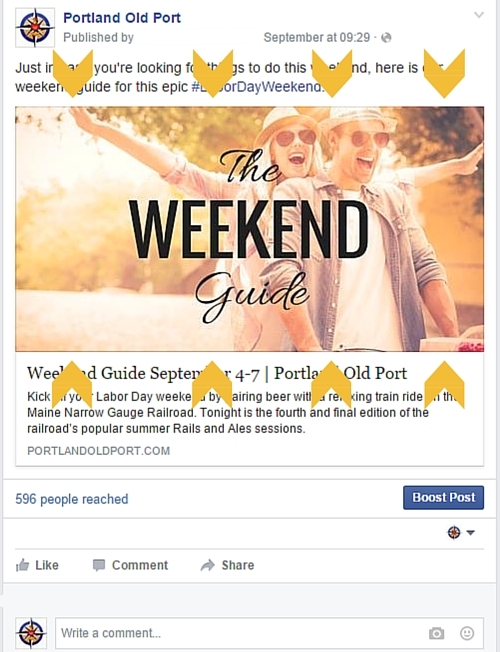 Encouraging readers to interact with your posts is an easy way to not only draw them to your site, but get them to click through to more than one page. The first thing you should do to engage readers is to make a short video about your business/blog and post it on your business Facebook page. The video will allow the reader to gain a better understanding about what your company is about, and let them decide if they want learn more. You should also post something to get your readers to interact daily. This could be a contest, trivia, or a daily thought-provoking question. These questions should be related to your blog posts. This is important because Facebook’s EdgeRank algorithm determines who sees your page’s posts, and if someone has engaged with you by liking, commenting, sharing or clicking on your post, they are more likely to see the next post you share on Facebook. Share blog posts written by complementary businesses in your industry. Maybe you own a roofing company, but do not provide chimney services. By sharing posts by a local chimney company you will begin to build customer loyalty because your followers will feel as though you are providing them with valuable information and resources, not just promoting your own services. Any businesses you promote in this way will appreciate you sharing their pages and potentially return the favor by liking or sharing your posts. Having other companies link to your page will also promote your business to potential followers and customers that wouldn’t have seen your page otherwise. Because Facebook is a publicly traded company in the business of making money it is becoming more and more competitive for companies to have their posts seen on Facebook. Posting content that encourages engagement helps, but you will also need to consider boosting posts and advertising to make sure your followers are seeing your content. 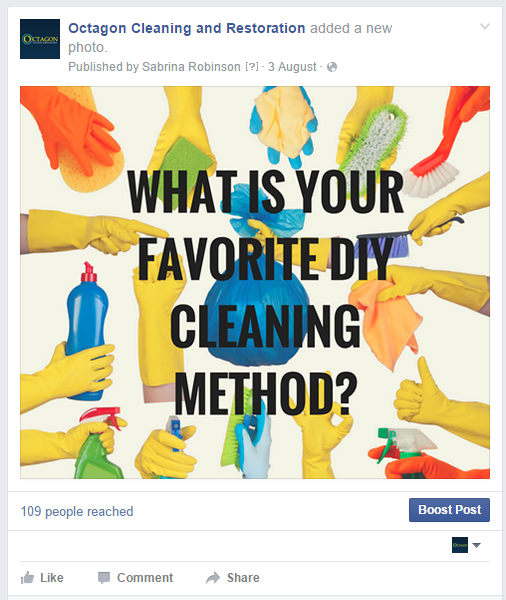 Facebook ads also make it easy to target new audiences beyond the scope of your personal network. This helps your business be seen by more people who don’t necessarily follow your company’s Facebook page, and drives more traffic to your page. 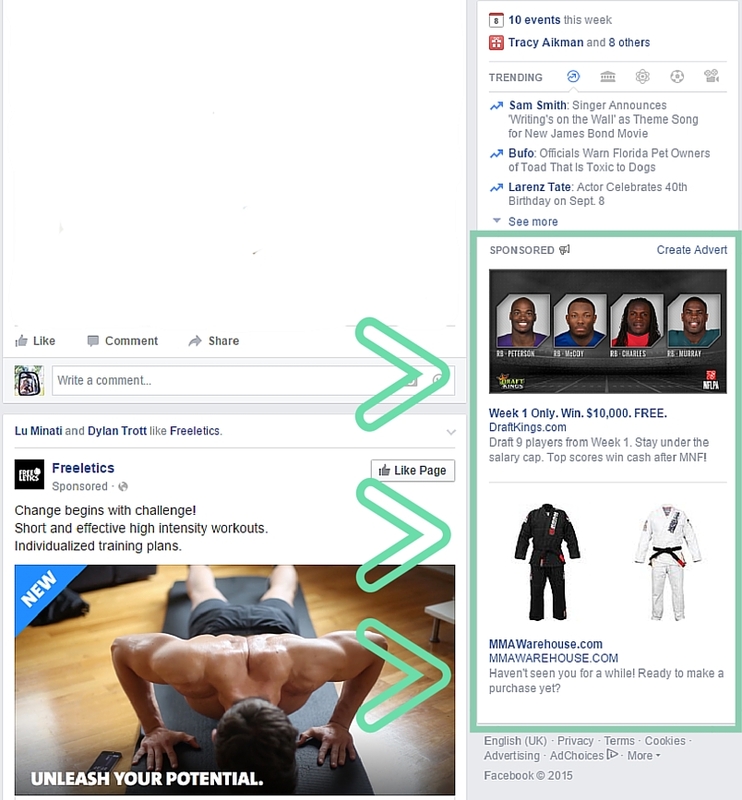 You can use Facebook ads via “promoted posts” which target your followers and their friends. You can also reach out using “targeted Facebook ads” which reach people in specific geographic locations who have interests related to you industry. By blogging regularly and following these simple suggestions for promoting your blog on Facebook you should soon see a noticeable increase in traffic to your website, watch your search engine ranking climb and land more customers. If you need help creating content for your blog or promoting your business on Facebook, contact Mainely SEO for a free initial consultation to learn more about how we can help you harness the power of social media to grow your company.